Abandoned village in Sicily built during the agricultural reforms of Mussolini. 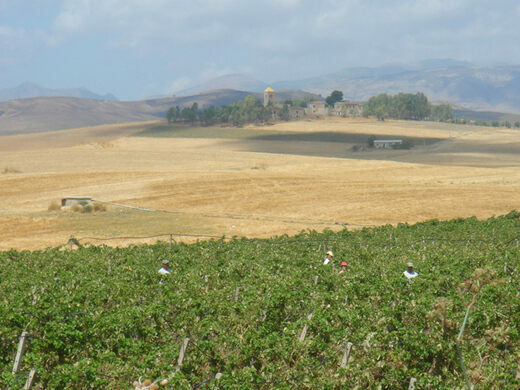 Malvello Vineyard (foreground) during the harvest in 2006. 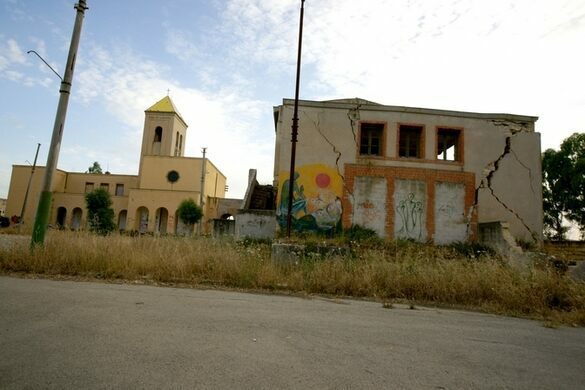 Borgo Schiro is an abandoned village located in Sicily. Named after a local hero, Schiro, the village lies on a small rise and overlooks the surrounding fields. Borgo Schiro was built during the time the Italian dictator Mussolini controlled the area and was part of the agricultural reforms instituted by his government to stem the tide of people emigrating from Sicily. Mussolini believed that if the amenities of a city such as schools, hospitals. and entertainment could be made available in the countryside, the local population would chose to remain and work the surrounding land thereby increasing agricultural production. Though funds were heavily invested in Mussolini’s concept, Sicily suffered tremendous turmoil prior to and during World War II. Without the necessary subsidies to continue operation, the various amenities ceased functioning and the village was abandoned. Today you can walk along Borgo Schiro’s quiet streets and peer inside the various structures that once housed a bustling population. The local villagers are ethnically Albanian and the language spoken in surrounding villages is a dialect called Arberesh. 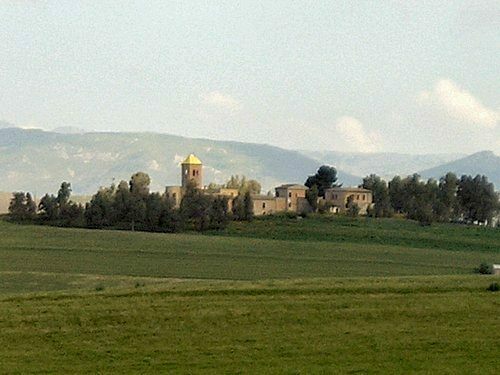 Borgo Schiro lies 23.86 km from the nearby village of Monreale. Leveled by an earthquake, this Italian village is now preserved as a concrete art project. This elaborate Byzantine-style building was designed for a not-so-pretty purpose.